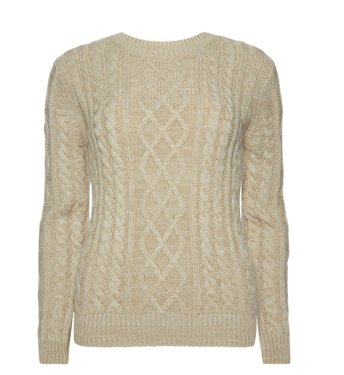 This winter season, forget the novelty Christmas jumper, the way to go is the Aran style of cable knit! 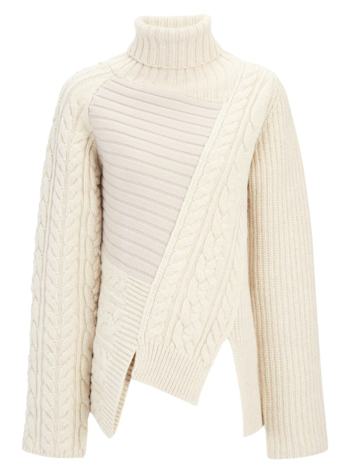 So hide away those old jumpers and invest in this gorgeous classic jumper. 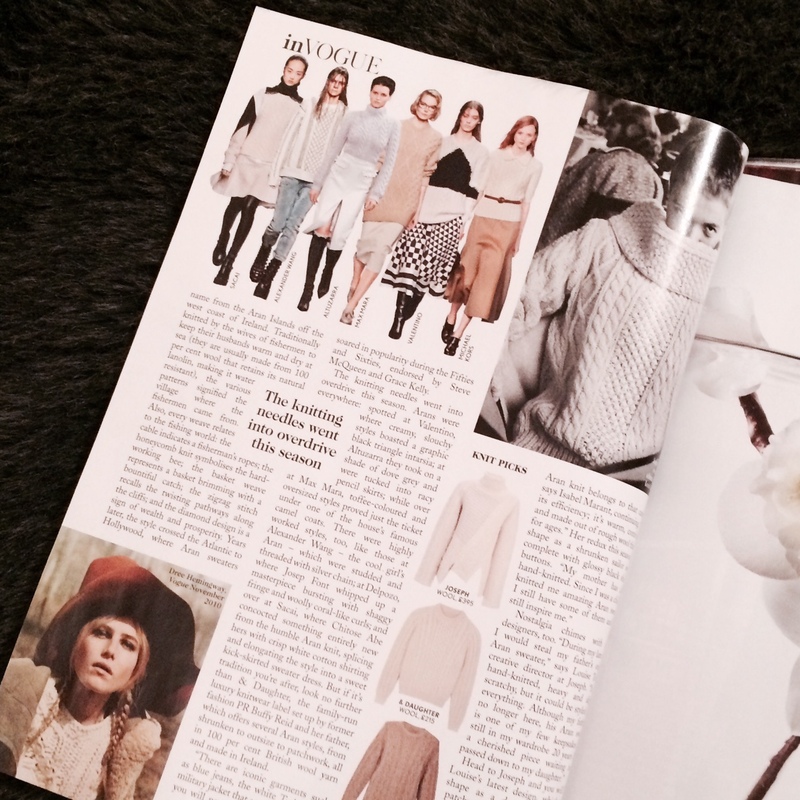 This type of knitwear is traditionally seen in off-whites and creams, but with this Winter trend there is so much more colour choice than ever, including some great ones for the cool skin-toned amongst us with dreamy greys and blues too. For me personally, I love the traditional cream; this also looks fabulous on men!! I’ve done some searching around for you and I have found jumpers at all budgets, if you want to go classic then you need to opt for Aran wool, you’ll know by the price-tag! 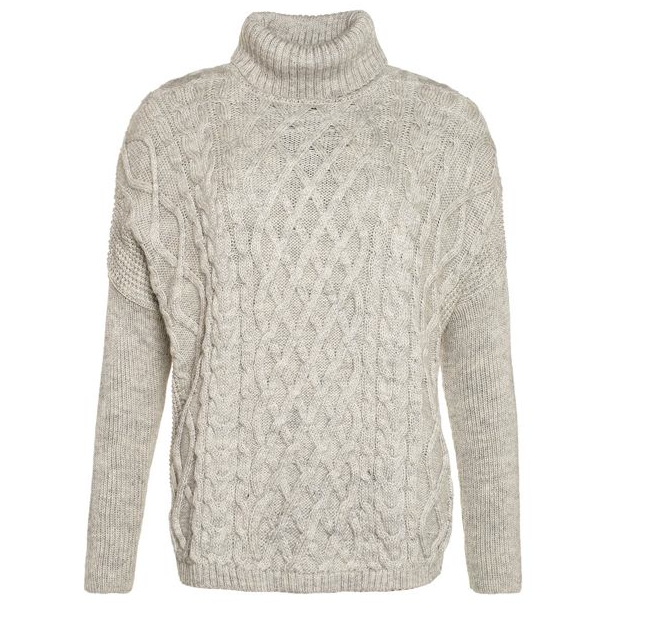 A very stylish cable knit by Superdry that I saw on House of Fraser, this one is available in either dark or light grey – perfect for those who cannot wear the traditional cream, this will suit cool skin-tones perfectly! 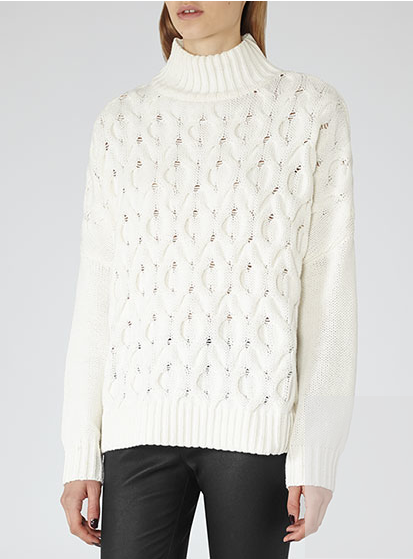 A modern looking cable knit by Reiss, this one is available in off-White or Black – I’m really loving this one!! 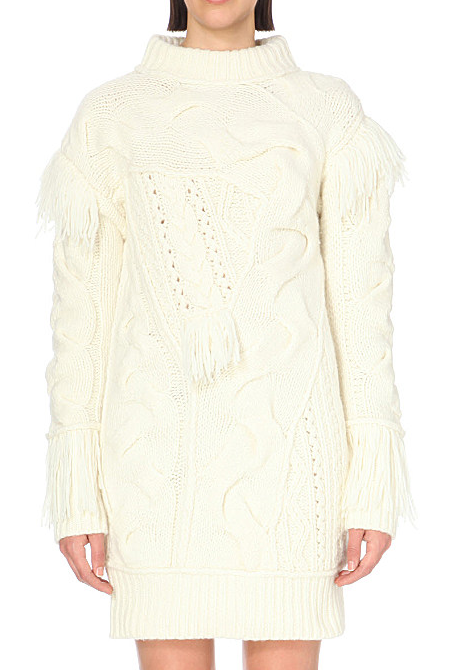 Combining two Winter trends here of both the knitted dress and the Aran knit, but could seriously hurt your purse! !